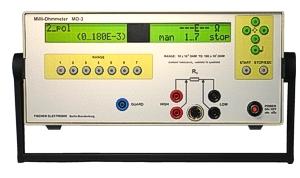 Milli and Teraohmmeter for the measurement of surface, volume and leakage, and small streams. 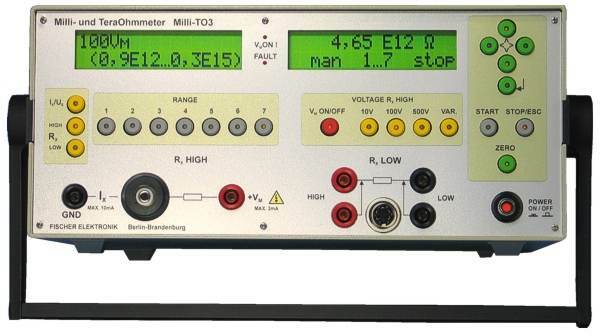 Milli and Teraohmmeter for the measurement of surface, volume and leakage currents and small especially on grounded samples. 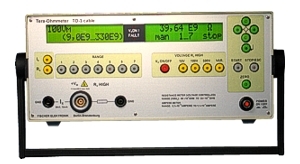 Teraohmmeter for the measurement of surface, volume and leakage, and small streams. Teraohmmeter for the measurement of surface, volume and leakage currents and small especially on grounded samples. 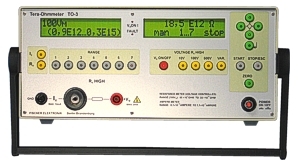 Milliohmmeter for the measurement of low resistances.